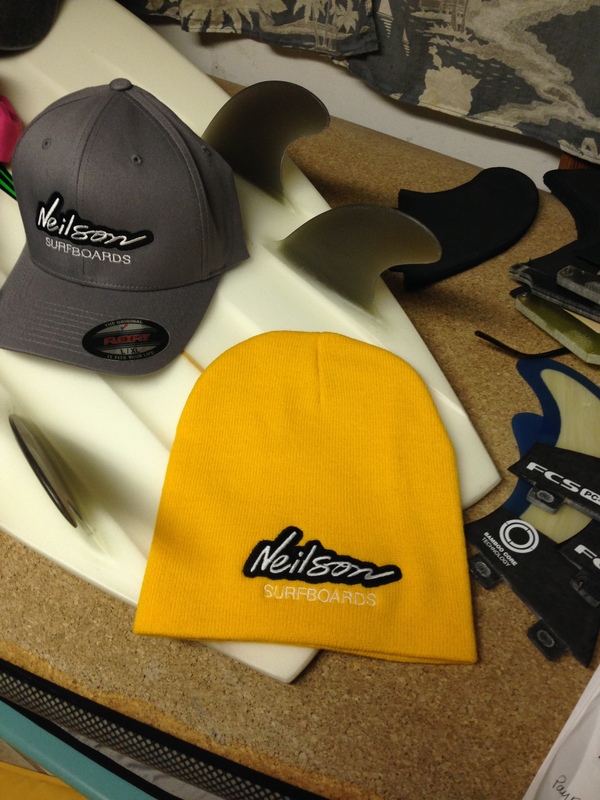 new Neilson hoodies are here! Got in the new beanies that are warm and comfortable and great for Winter. I wore one to my friend Von’s house the other day and he bought three on the spot. Style and great show of support for custom surfboards! Order right off the website and get free shipping! Black, red, yellow and grey available and in two weeks we will be getting in green as well.